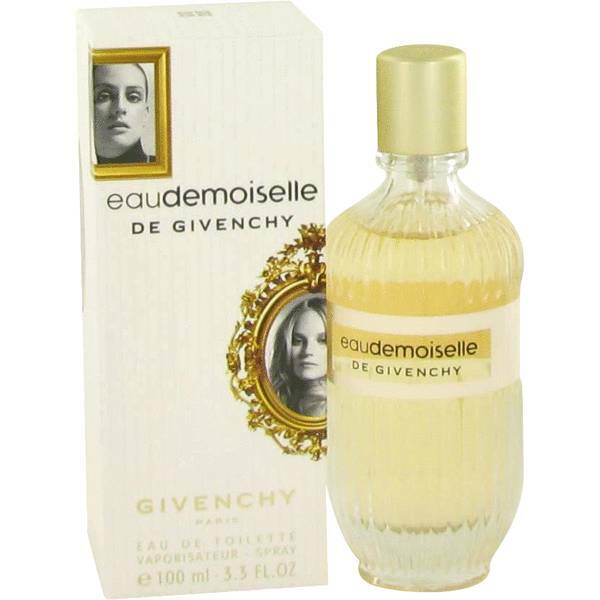 Eau Demoiselle Perfume by Givenchy . . . Released in 2010 by the House of Givency, eau demoiselle was created by perfumer Francois Demachy. This modern fragrance has a splash of vintage feel with top notes of japanese basil, tangerine, and italian winter lemon. The floral heart is enclosed with rose and ylang ylang. The base includes ambrette, musk, and tonka bean.